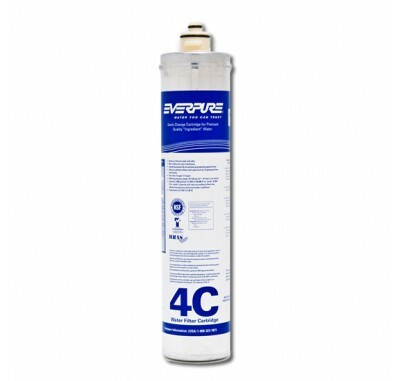 The 4C Everpure Filter is a 1/2 micron filter cartridge designed for vending cold cup applications. The EV9601-00 filter lasts up to 3000 gallons depending on your water quality. 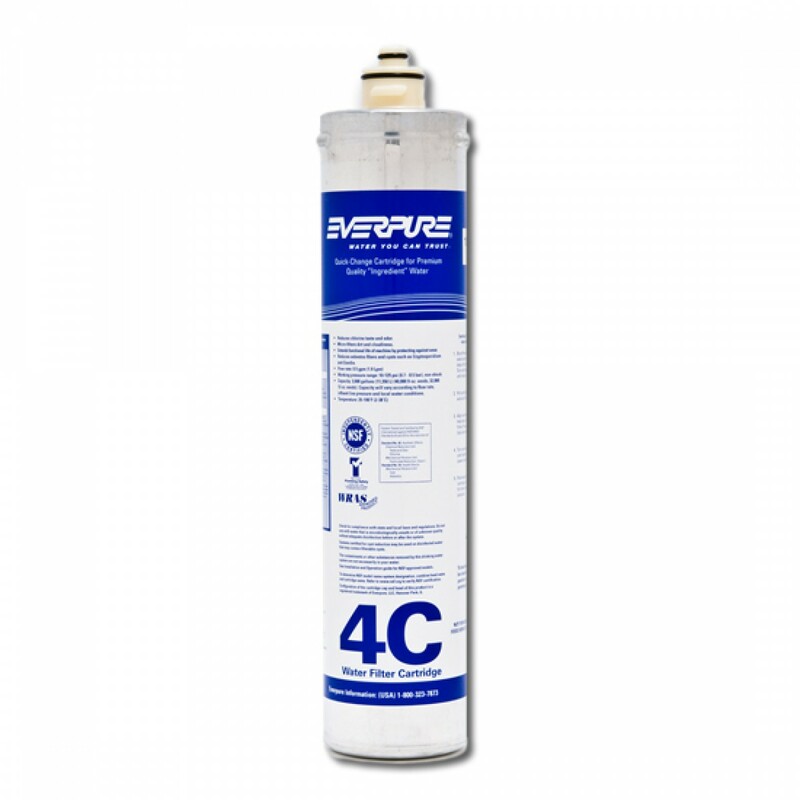 The filter Cartridge 4-C reduces cryptosporidium and giardia cysts, lead, chlorine, taste and odor, and more. The EV9601-00 filter features a Sanitary quick-change design making maintenance easy.. The Everpure 4C filter works with QL2 or QL3 housings. Note: This filter is NOT for use with water that is microbiologically unsafe.